If you needed any more evidence that emojis are replacing written language, Norwegian Airlines has set up a website with an all-emoji URL. 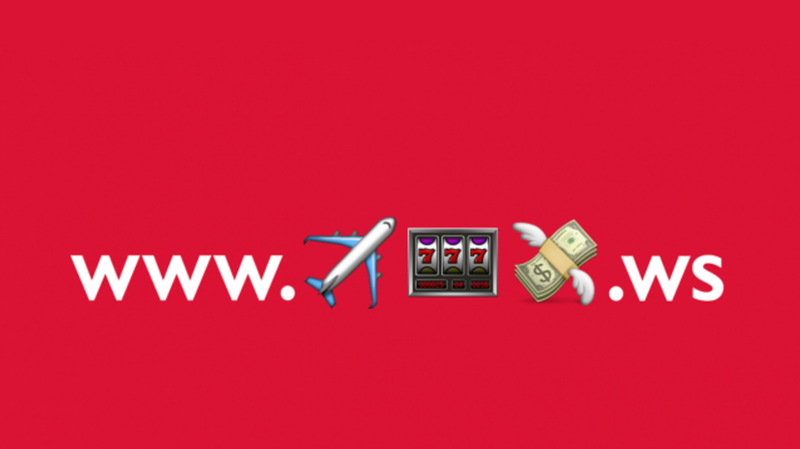 The cryptic URL features a plane, a slot machine, and flying money. Typing the URL into your browser (it's easiest to do this on mobile) will lead you to an announcement for a new direct flight connecting Copenhagen and Las Vegas. The fancy URL was spread through Instagram and was pushed out by eight influencers, including a soccer player, a music producer, and bloggers. The picture reached roughly 500,000 people and about 1600 visited the site on the first day. "We know that young people aged 18 to 34 are incredibly complex to market to. Therefore we decided to take advantage of the target audience's way of using emojis as well as the linear feed on Instagram to hype the destination," said Norwegian Airlines' Tina Fristrup . If you want to try this for yourself on desktop, this website will let you copy and paste the relevant emojis.